Groups typically see a destination by motorcoach. But cycling tours offer visitors a way to immerse in a destination. Imagine the scent of wildflowers, the feeling of sea breeze and the sounds of wildlife. Some tours even stop to taste local cuisines and brews. Both green and healthy, the cycling wheel comes full circle with experienced guides who know the best routes and can accommodate mixed abilities. Slow down, stop and linger to notice the details with these cycling tours and trails across the West. 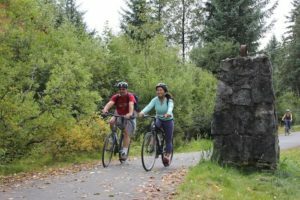 Whether groups are visiting Alaska by cruise ship, plane or ferry, Cycle Alaska provides opportunities to experience Juneau by bike. 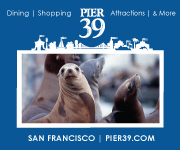 Options include the Bike & Brew tour, Bike & Tram tour and custom tours. “Our tours offer guests a glimpse into what makes Juneau such a wonderful place, from the breathtaking views of the Mendenhall Glacier and abundant wildlife to the diverse culture of the local community,” said Briana Swanson, general manager for Cycle Alaska. Swanson said custom cycling tours are typically for groups that are looking for a longer ride. Groups can finish off the experience with a salmon dinner. Swanson’s personal favorite tour is the Bike & Brew, an opportunity to experience Alaska’s natural beauty and award-winning microbreweries. “The Bike & Brew just can’t be beat with the views of the Mendenhall Glacier, but the best part comes at the end as groups get to finish the ride through the forest surrounded by trees and the sound of rain falling through the rainforest,” Swanson said. In addition to tours, Cycle Alaska is known for its bike shop. Last year, the National Bicycle Dealers Association named Cycle Alaska one of America’s best bike shops. Fewer than 300 shops out of 4,000 total across the United States are given that title. 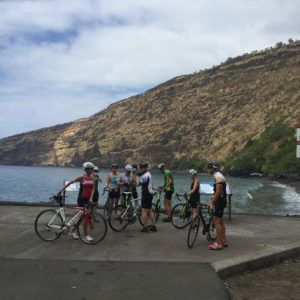 Whether the goal is to become a better cyclist or experience Hawaii’s scenery, Big Island Bike Tours can help. The company shows groups amazing ocean views, massive volcano climbs, breaching whales, hot lava, classic Paniolo round-ups and local cuisine. Prior to founding Big Island Bike Tours, Candelario was a professional cyclist for 15 years. He said a group favorite is the Anna Ranch mountain bike experience. “Not only is the ride spectacular in views, but the private ranch trails are built specifically for mountain biking and offer guests a unique experience of Hawaiian history, as well as the ranch legacy of Waimea,” Candelario said. In addition to day tours, multiday tours and mountain cycling tours, the company also offers custom options. 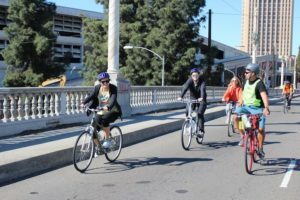 Although Los Angeles is the land of movie stars, mansions and exotic sports cars, LA Cycle Tours shows groups a different side of the metropolis. As a mobile company, tours can start and end anywhere. Cycling tours touch on history, art, architecture, culture and cuisine. A safety marshal rides behind the group to ensure no visitor is left behind. Several tours are available to groups, including a Taco Tour that takes groups to a variety of taco stands and trucks to experience one of Los Angeles’ most popular on-the-go foods. “I have poured my soul into perfecting and making each tour a unique experience,” Palacios said. For more experienced cyclers, Palacios recommends workout tours, 30- to 50-mile rides. One of the workout tours, The Ride to the Beach, passes iconic landmarks and neighborhoods. The tour includes the Arts District, Staples Center, Los Angeles Memorial Coliseum, Marina del Rey and Santa Monica Pier. Cycling House not only offers cycling tours in its home state of Montana, but also in Colorado, Arizona, California, Italy and Spain. Cycler and mountain views, Cycling House bike trip, Glacier National Park, Mont. Halpin said the best trips for beginners are the Glacier Loop trip in Glacier National Park (five days, four nights) and the Tucson, Arizona, trip (six days, five nights). 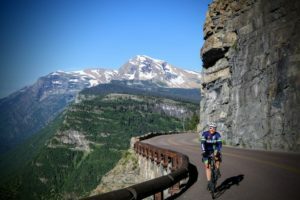 For advanced riders, Halpin recommends the Glacier to Yellowstone trip (seven days, six nights) or the Mallorca, Spain, trip (seven days, six nights). Mallorca offers a beautiful island setting with delicious food and an unparalleled cycling culture. Mountain biking may have been born in Colorado and California, but in the bucolic high desert terrain of Aztec, New Mexico, this adrenaline-infused sport has gained a major following. Alien Run Trail, Aztec, N.M.
Alien Run is a mix of cross-country challenges. Challenges combine swooping flows, plunging rim drop-offs, technical rock intervals, elevation climbs and tumbling downhills. Underscoring the 5-mile, 12-mile and 19-mile unidirectional loops are scenic, photogenic overlooks. Alien Run was named for an infamous local legend. The legend stems from an alleged 1948 UFO crash site located immediately adjacent to the park. Every year in May, the Alien Run Bike Race celebrates the incident. The grassroots cycling event is regarded among the top mountain biking competitions in the Southwest.